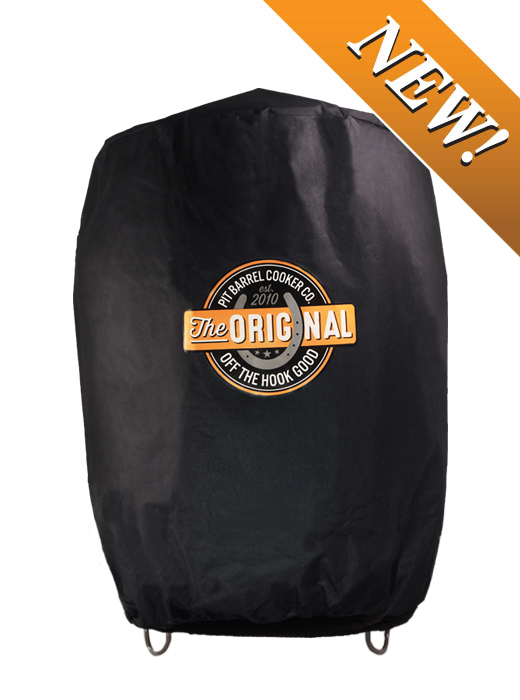 Protect your Pit Barrel Cooker from the elements with the new PREMIUM Cover – it is custom fit for quick and easy on/off and seats securely with an elastic bottom. It comes in black with the Pit Barrel Original Seal on the front. Get yours today!